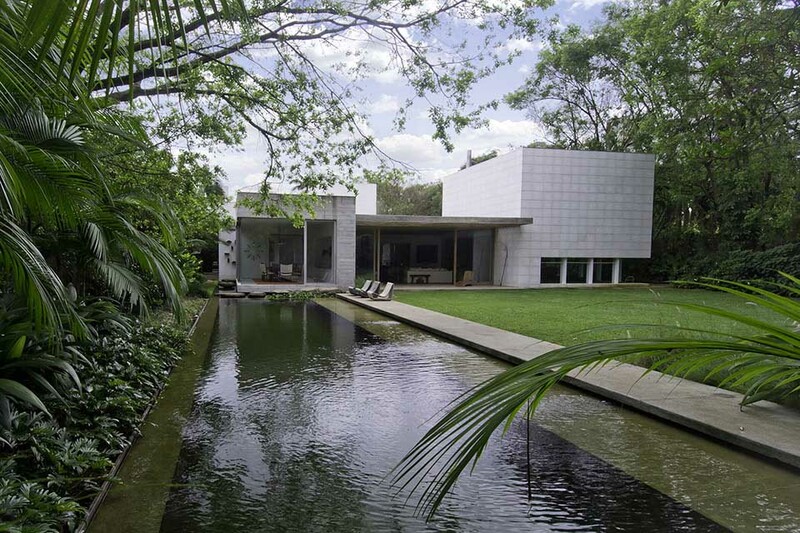 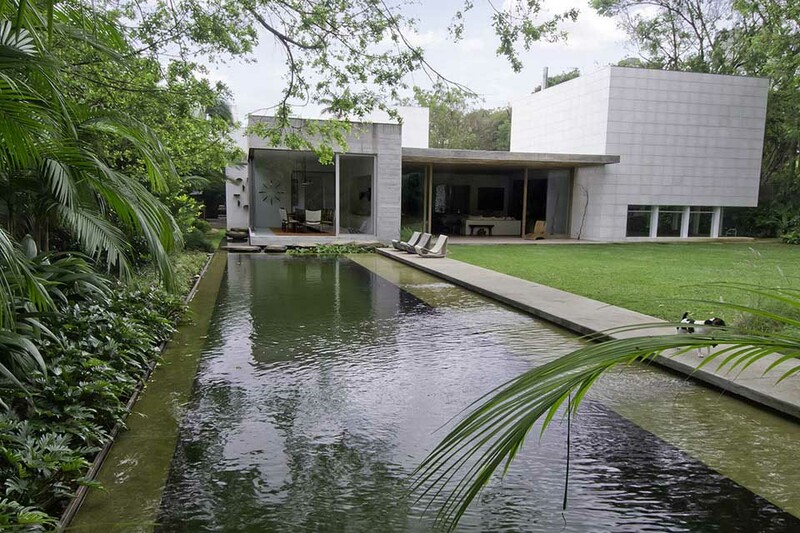 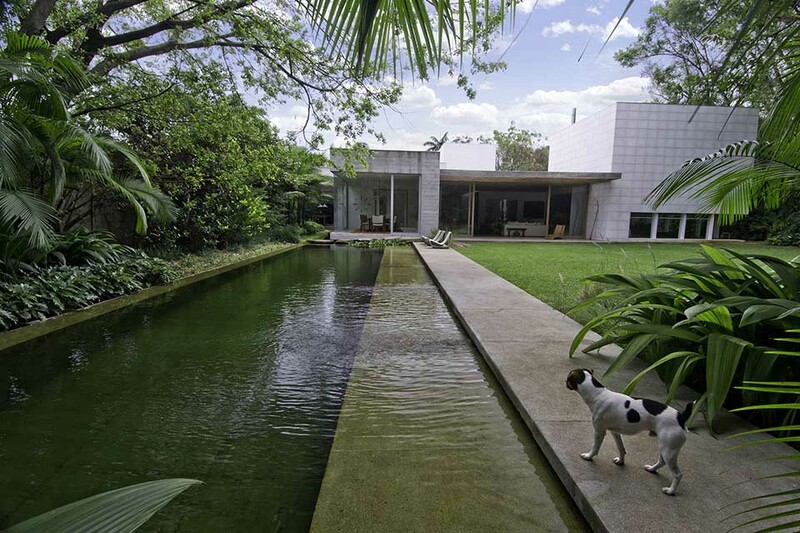 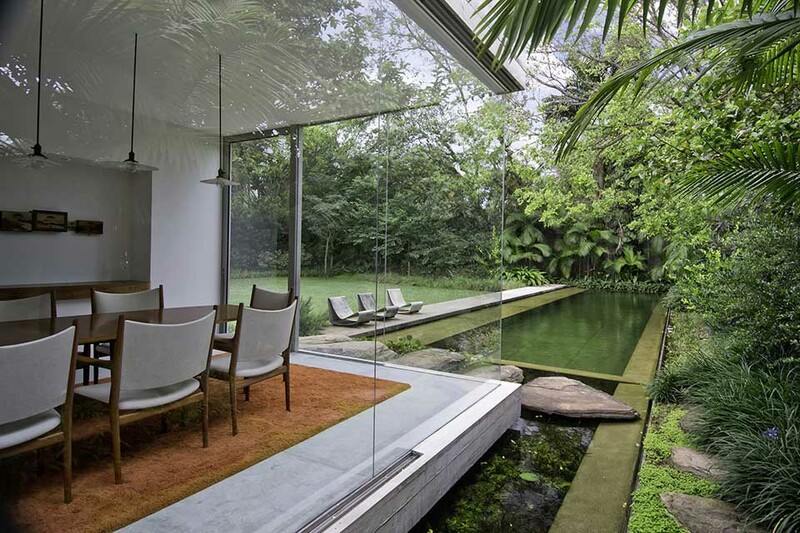 The formal style of the pool came up from the need to follow the architectural lines of the house, designed by Isay Weinfeld. 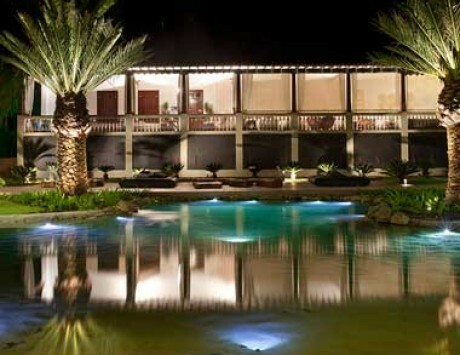 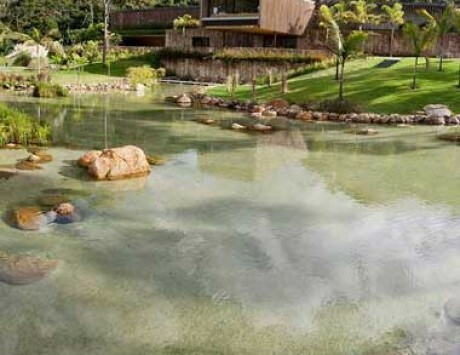 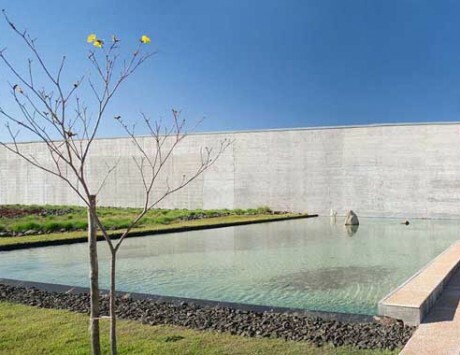 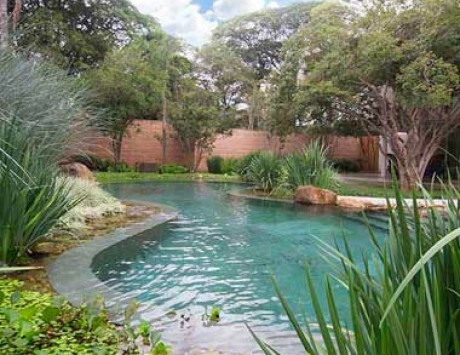 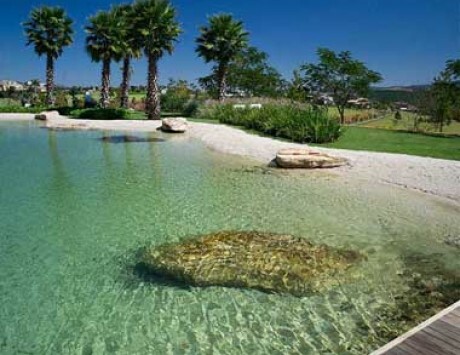 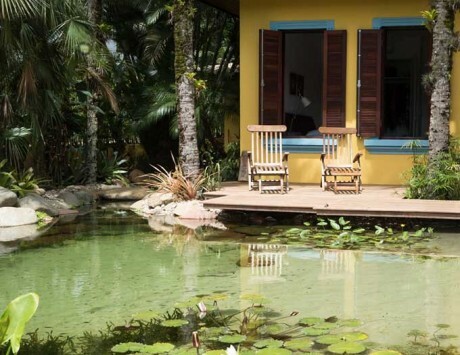 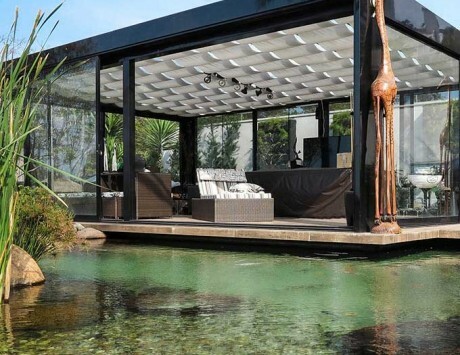 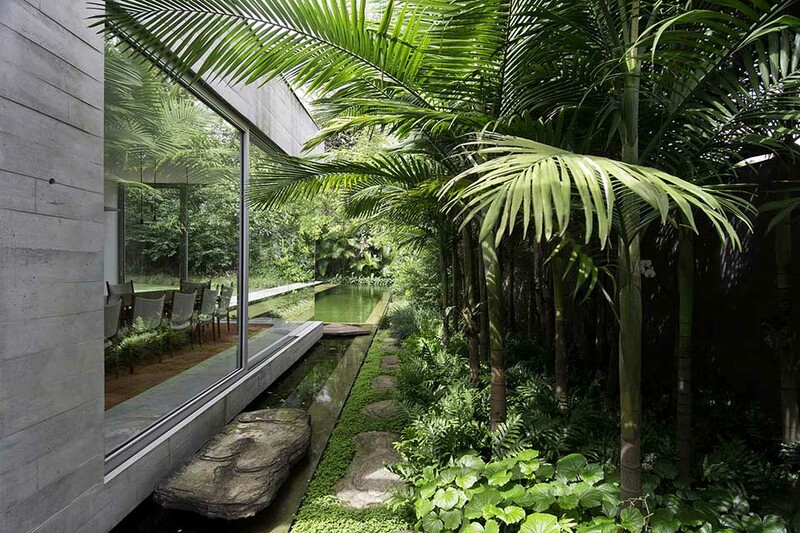 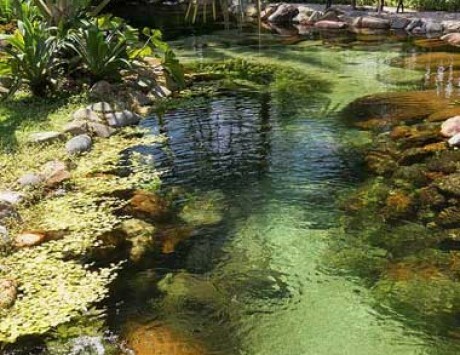 The rich surrounding landscaping was made by the well-known landscaper Isabel Duprat, that also chose the plant specimens used in the mirror of water. 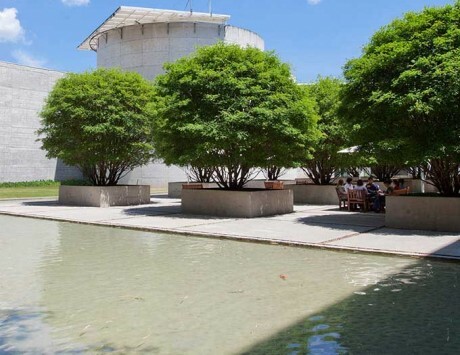 These plants integrated with densely planted edges provide a beautiful landscape that balances formal lines with nature.